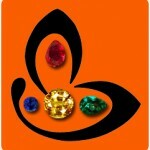 An amazing gemstone with the extremely pleasing Fresh grass green color, and clarity that astounds! A fully natural and unenhanced Colombian Emerald with the potent and Sattvik Jyotish powers of the planet of Business and finance – Mercury, enough to take you to the pinnacle of life! 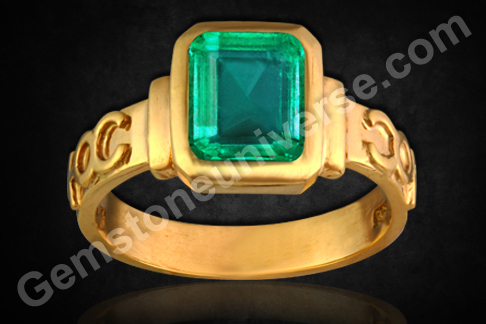 This rare and collectible Emerald is set in a wonderful 22k Gold ring with the ancient symbols of Mercury on the shanks and ready to gift the best results of Mercury! A magnificent Talisman!